After the Nordstrom Anniversary Sale ends on Sunday night, I’ll be getting back to regularly scheduled programming… but until then, here’s another look featuring a few more fall finds from the sale! 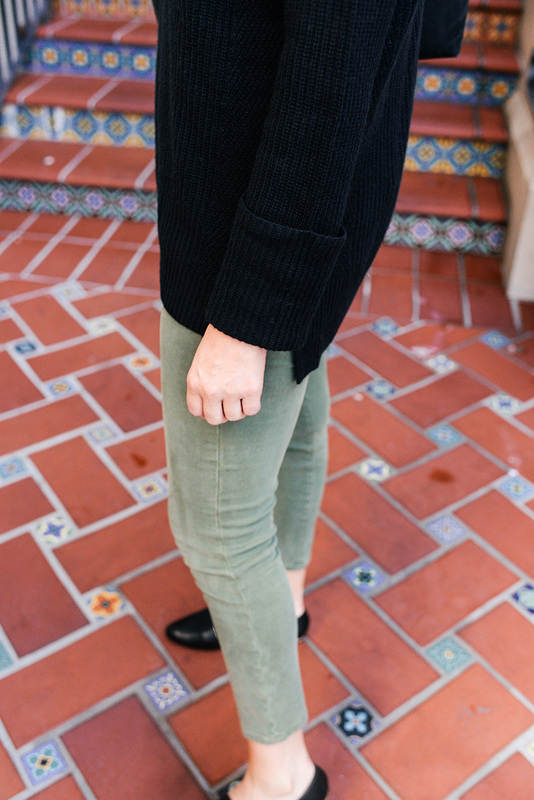 This cuffed cashmere sweater is just the kind of sweater I buy that I’ll be able to wear for years. I love dressing pieces like this down with leggings or jeans for daytime, but it also looks very chic with leather pants and heeled boots for a night out too. 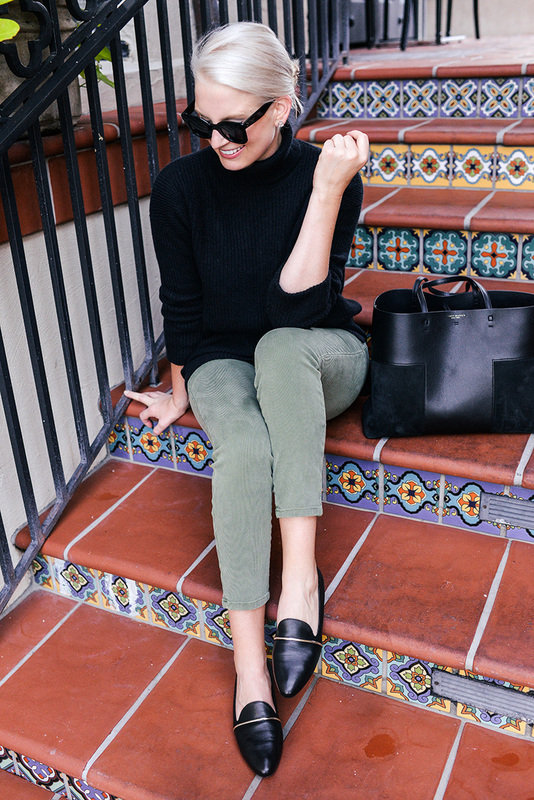 It’s a classic, cozy silhouette with a ribbed look, turtleneck and cuffed sleeve. Subtle details that add just the right amount of interest, don’t you think? I also ordered this sweater in white, but ended up returning that – it didn’t look as high quality in that color to me. 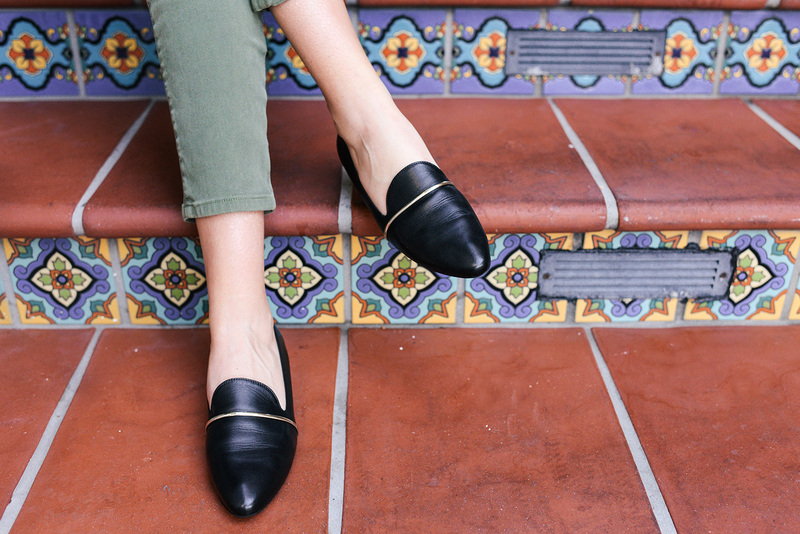 The other piece in this outfit from the #NSALE is this pair of loafers. They were actually one of the first pieces I found when shopping Early Access at the La Jolla store, and the second I slipped them on I knew I had to have them. They are SO comfortable! Stretchy, supple leather complemented by a sleek silver bar detail. 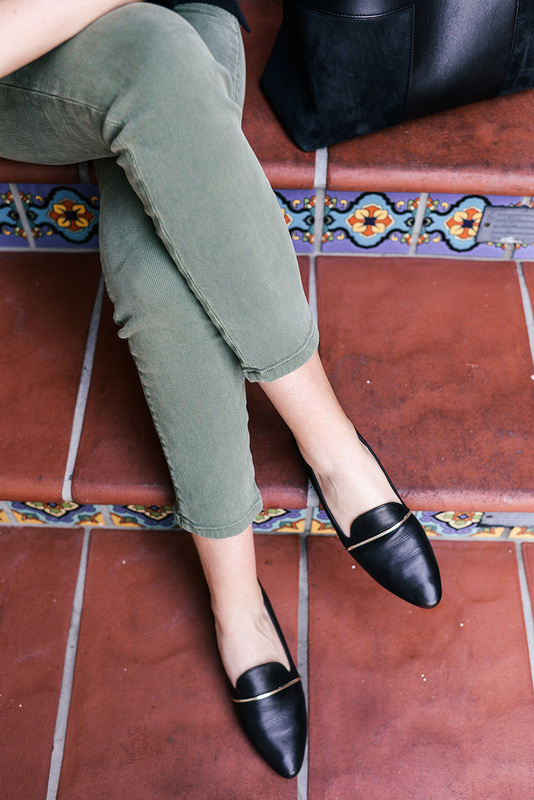 It’s a great smoking slipper/loafer style that you can easily wear day or night, at work or on the weekend! There are sizes still available in both pieces + both items come in several different colors! I chose black, because I know that’s what I’ll get the most use out of. I’m wearing a small in the sweater which fits pretty oversized (size down! ), and I’m wearing a 39.5 in the flats which is pretty true to size. If you have wide feet, I might size up a half size as they’re pretty form fitting! Just a reminder that everything in the Anniversary Sale goes back up to full price on Monday! Don’t wait to shop if you spot something you like – only a few more days to get it with a great discount! I was looking for a new black sweater and love the neck on this one!